San Francisco Mayor Ed Lee says he will not run for mayor in November, but some of his supporters are not taking no for an answer. They launched a site Wednesday, called "Run, Ed, Run." It includes a petition that supporters of Lee can sign. Lee has previously said he wants to return to his post as city administrator when his term is up. He reiterated the hope, Wednesday with the San Francisco Chronicle. "I am sure I am not going to run," Lee told the paper. "This has not been my agenda and it never has been. As many times as I repeated it, people didn't think it was true. But I'm glad they're not saying, 'Get the heck out of office. You're a bum and you've done wrong.' That helps." 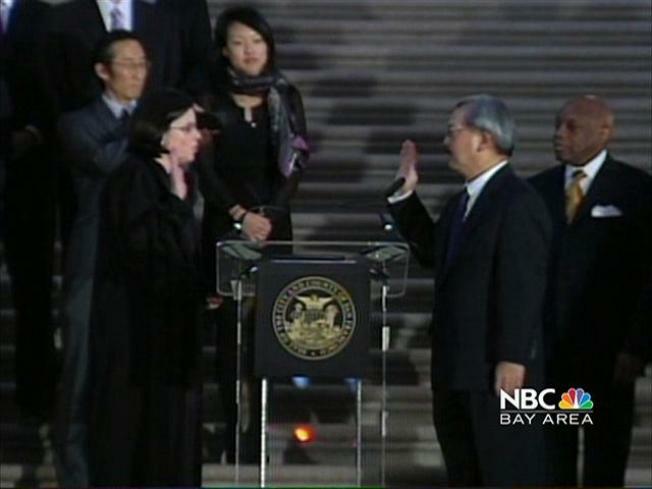 Lee took over as mayor in January, when Gavin Newsom left the post to become lieutenant governor. A number of people have already said they will be running for mayor in November.